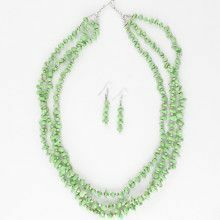 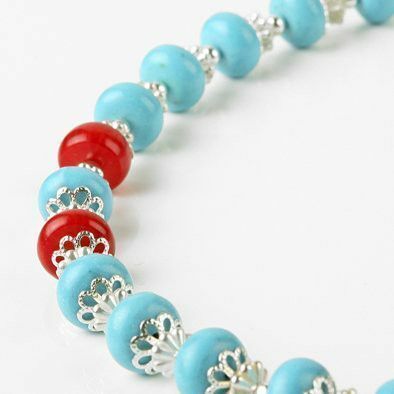 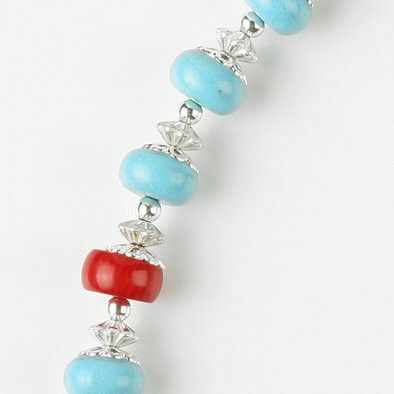 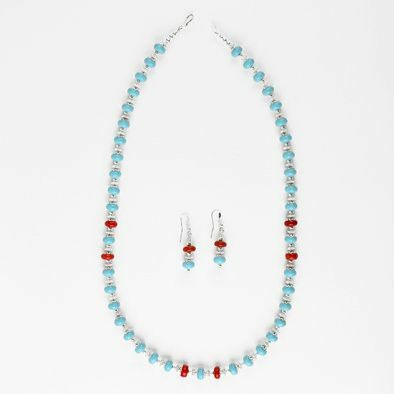 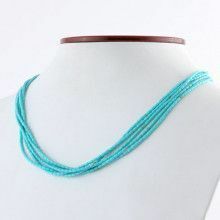 This bright turquoise bead necklace and earring set is enhanced with an extra splash of color from vivid red coral beads. 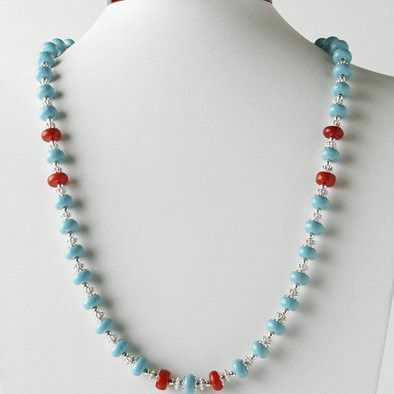 Each rounded turquoise bead, made from famous sleeping beauty turquoise known for its intense robin's egg blue color and general absence of a matrix, is separated with fun .925 sterling silver bead caps and round and star-shaped beads.The earrings feature one coral and one turquoise bead each dangling from sterling silver hooks embellished with curling wire and silver beads. 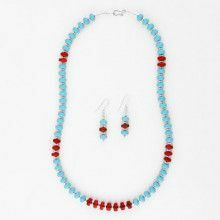 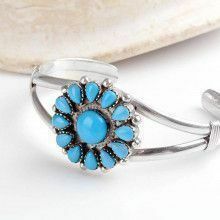 Turquoise is the birthstone for December, making this set the perfect gift for the Sagittarius in your life. 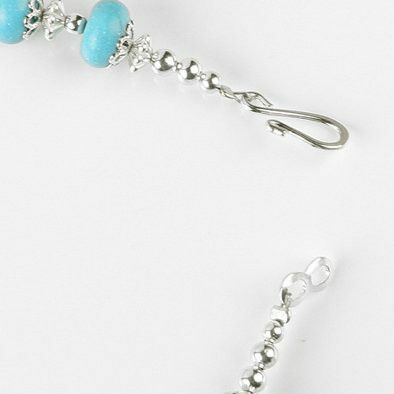 Earrings measure 7/8" x 3/8"